In addition to Hoes, Holly Mae Brood, Olivia Lonsdale, Romy Gevers, Niek Roozen, Thijs Boermans and Shahine El Hamus also play a role in the book adaptation Greyhound of writer Mel Wallis de Vries. Gijs Blom plays the mysterious Casper, the friend of Abby (Abbey Hoes) and Jelka van Houten can be seen as the mother of Kim (Romy Gevers). The long-awaited film adaptation of Mel Wallis de Koode Vries’s bestseller is directed by Dennis Bots (Eighth-Groupers do not cry, War secrets, the house Anubis). VALS is produced by Phanta Film and Goldman Film. The recordings were completed last week. 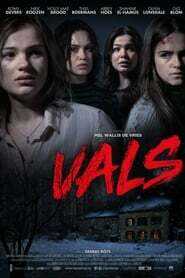 VALS is expected in Them That Follow November 2018 in Dutch cinemas.